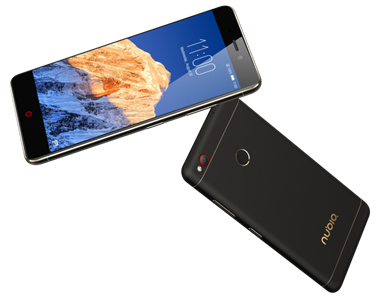 On 6th February 2017 in Bengaluru/Delhi/Mumbai, INDIA , Nubia today announced the launch of its new N1. Nubia N1 have 13 MP camera rear and front which also comes in stylish Black and Gold color. Nubia N1which will be available in the Indian market in exclusive partnership with Amazon.in. Sales commence from 08 February 2017 at 12:00 AM IST. nubia N1 is equipped with nubia's new battery technology - NeoPower, which combines a 5000mAh battery. The Nubia claims this device has been optimized well for low power consumption with high performance delivery. As per their claim this device will provide battery life of 3.1 days for normal usage and 1.9 days for heavy users. nubia N1 is equipped with nubia's NeoPower technology, which combines a 5000mAh battery. Equipped with 8-core 64-bit MTK Helio P10 processor which provide power and performance to nubia N1 and capable of handling heavy multitasking efficiently. This smartphones runs on Android 6.0 having nubia UI 4.0 customized skin running on top of it. Device is having 5.5 inches Full HD display with 2.5D curved arc glass. Device comes with 13MP rear as well as front selfie shooter. Provide user a wide range of dynamic effect to select during the photography. To save your images and videos and movies and other media stuff this device equipped with 64GB internal memory with 3GB of RAM memory. You can also expand the device storage using external SD card upto 128GB. But this device comes with Dual SIM hybrid slots. 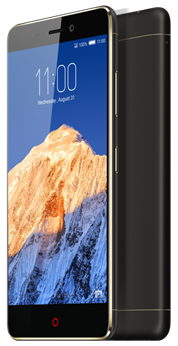 Also Read : Asus Zenfone 3 Max (ZC553KL) VS Oppo F1S : Which One To Select ? nubia N1 also provide Fingerprint sensor provide advnce security system to your device. nubia N1 comes with all kind of connectivity like Bluetooth 4.1, Wi -Fi, 3G,4G with VoLTE for high definition voice call. This device equipped with Electronic Compass, G-sensor, Light sensor, Gyro-sensor, Proximity sensor, Hall sensor. Nubia n1 having USB type C charging. Not only this but this device comes with 5000 mAh battery provide user a sustainable battery life like Zenfone 3 Max. nubia N1 comes under budget smartphone costing 12499 INR which sound very good when we look at smartphone configuration. So this is all about overview of the device by nubia N1 launched. If you have any query or questions do let us know in comment section below. Stay tuned for more. Thank you for reading.